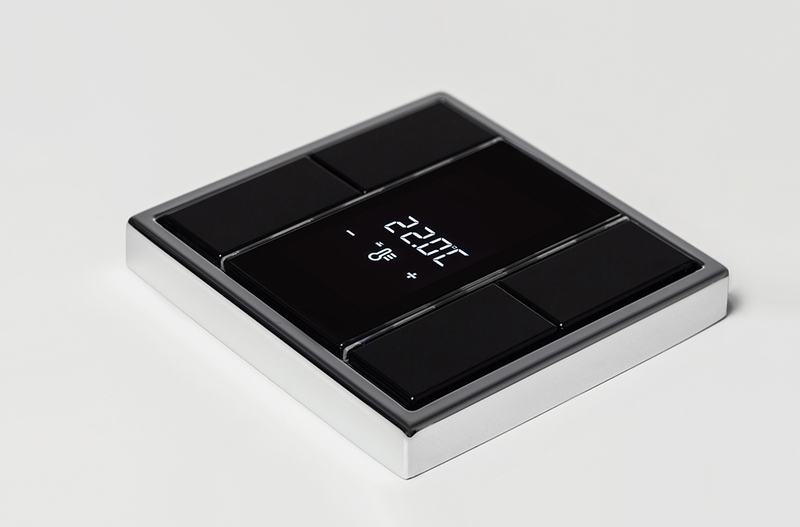 New room controller for the KNX F 50 family: the KNX compact room controller appeals by intuitive operation and two built-in temperature controllers. The backlit LCD clearly shows the most important values and functions, irrespective of the viewing angle. 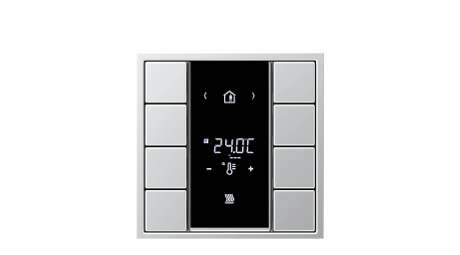 Depending on the respective functions, the button icons shown on the display may be individually selected during programming. Buttons labelled by means of the Graphic Tool further assist the user in assigning functions; the same applies to the RGB status LEDs. 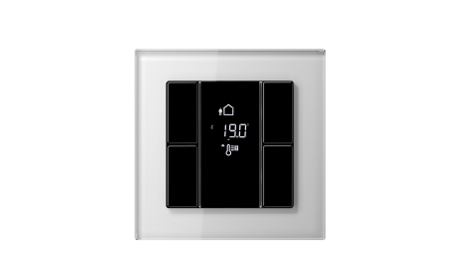 Push-button sensor or controller functions may be assigned to each of the room controller buttons. 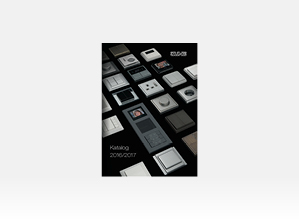 The KNX Compact room controller is available in a 2-gang and 4-gang version. Available in the same design as of the AS, A, CD und LS ranges, it harmoniously fits to the remaining electrical installation. 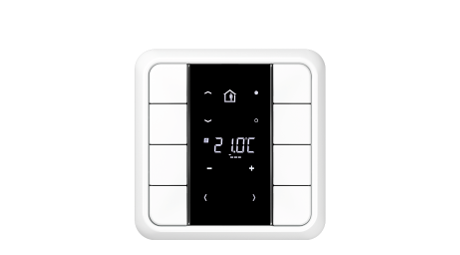 The F 50 compact room controller provides four options to determine the actual temperature: firstly, by means of the built-in temperature sensor; secondly, by means of the temperature sensor of a connected extension module; thirdly, by means of an external sensor that may be optionally connected; and fourthly, by means of the temperature sensor of any other KNX device using a 2-byte float message. 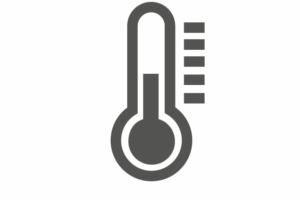 Moreover, the actual temperature may be obtained from a combination of these sources and shown on the display: using the two built-in temperature controllers, the temperature of two rooms may be exclusively controlled in parallel. 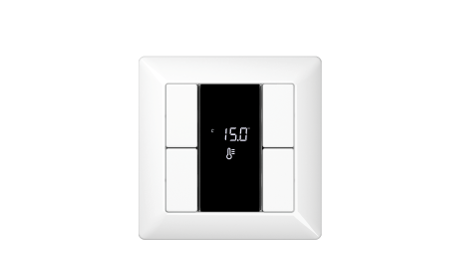 This way, not only the desired temperature can be achieved in the room in which the compact room controllers are installed, but also e.g. 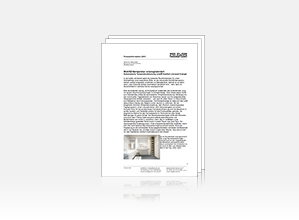 in the hallway using a connected extension module – easily, quickly and cost-efficiently. 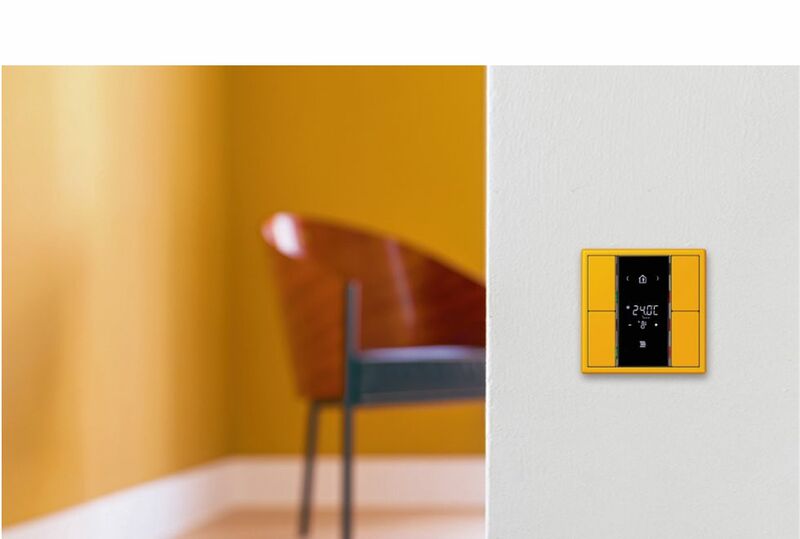 By connecting extension modules to the compact room controller, functions may be added to the unit as required. 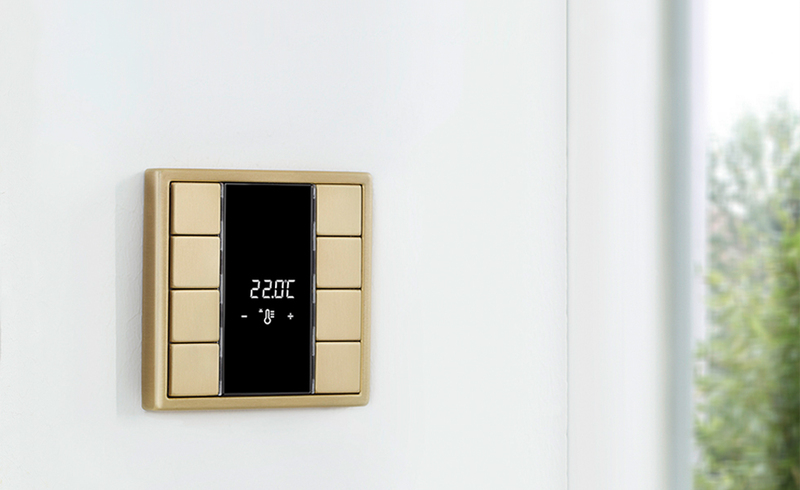 What is typical of the F 50 family: the extension modules may be installed in a distance of up to 30 m. Thus, the KNX functions may be easily and cost-efficiently operated from an adjacent room – including stand-alone temperature control.